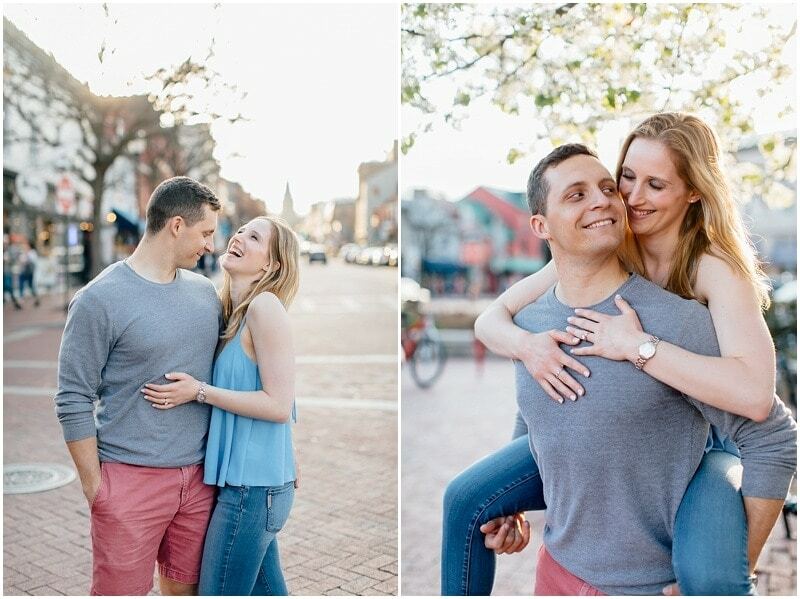 Introducing Zack and Rachel, a gorgeous couple who I had the pleasure of meeting downtown for their Annapolis engagement session! 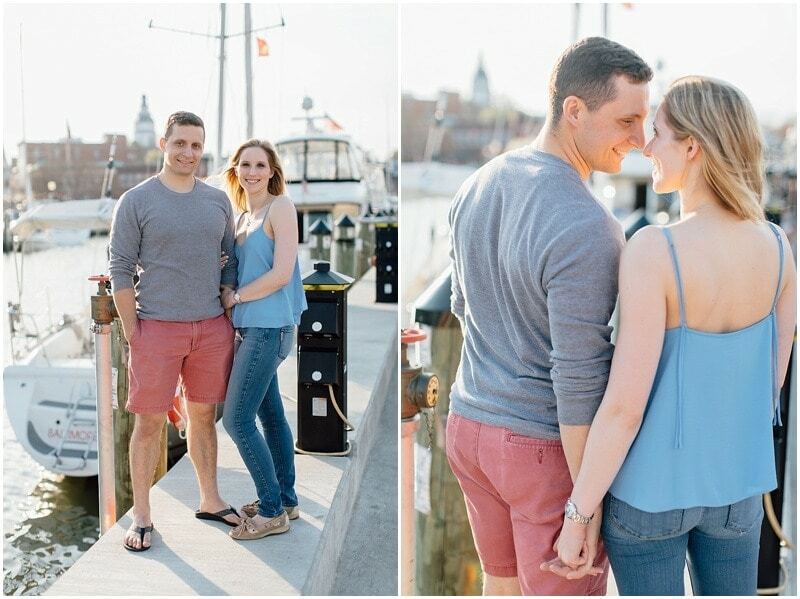 They are getting married in just a few short days at the beautiful St. Mary’s Church in Annapolis. We started on State Circle, walked through the streets, and ended up by the water on Main Street. 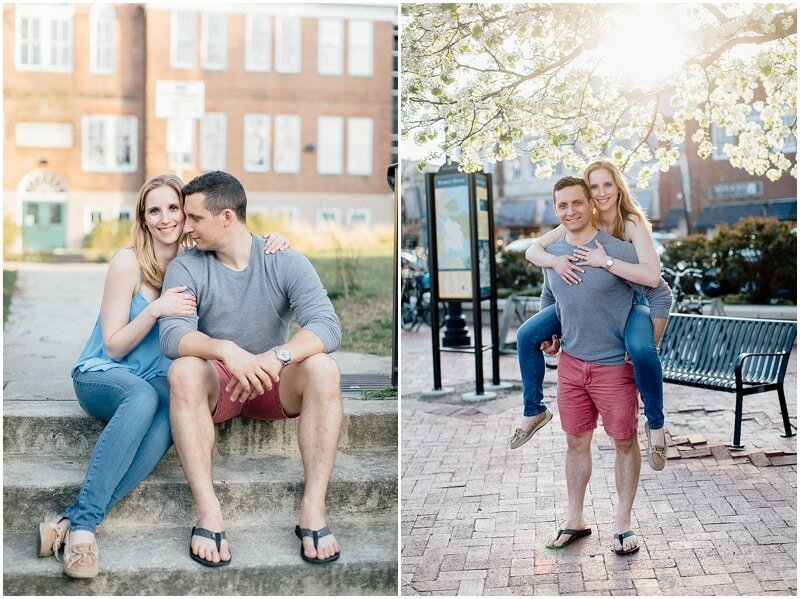 It was a gorgeous session and I cannot wait to celebrate their wedding day this weekend! 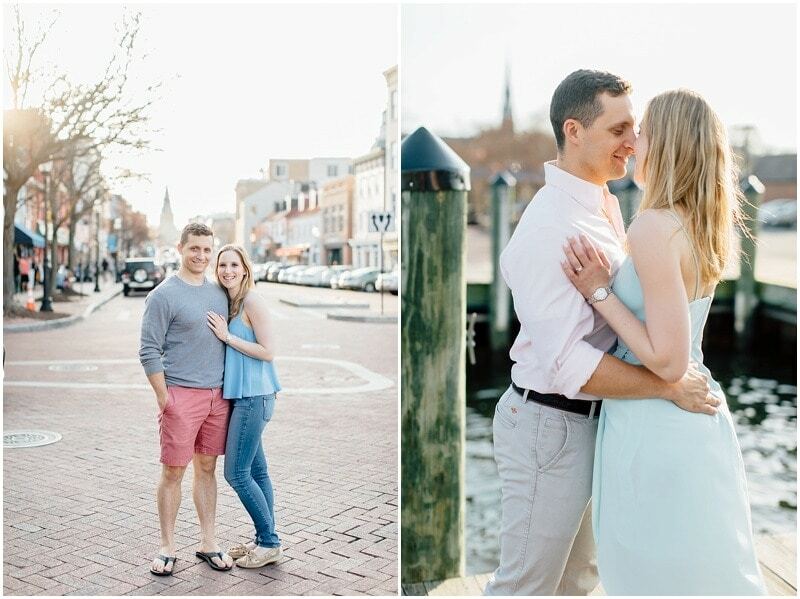 One of my favorite things about Annapolis engagement sessions that take place downtown is that we can move around the area to find the perfect backdrops to fit each couple’s personality and wardrobe. 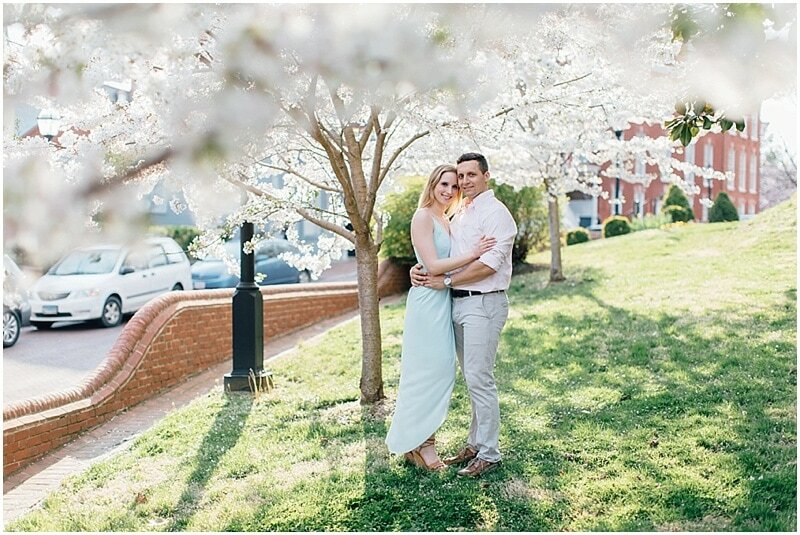 Check out the dreamy white blossoms on those trees! 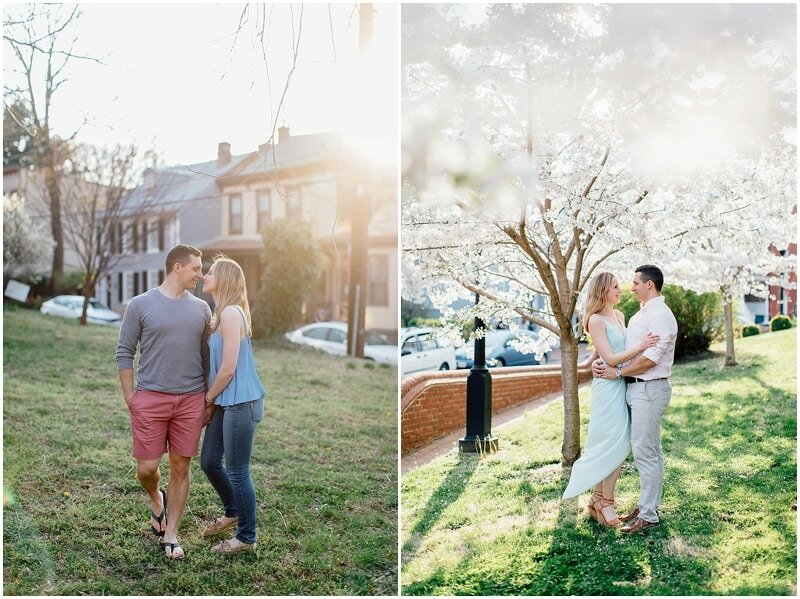 The neutral colors combined with soft lighting give off such a romantic feel for the final images. As if the trees aren’t enough, downtown Annapolis offers so many options! Urban pockets red brick and concrete steps, downtown shops for a hometown feel, not to mention the waterfront with its deep blue water, amazing shoreline, and stunning sailboats. 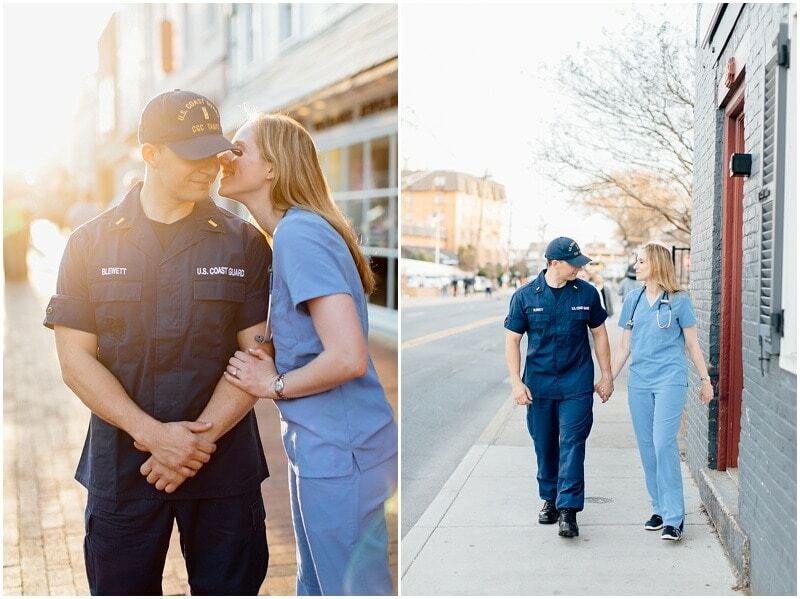 No Annapolis engagement session with me is exactly the same as another. I work with each of my clients to customize the session and create images that you’ll cherish forever. 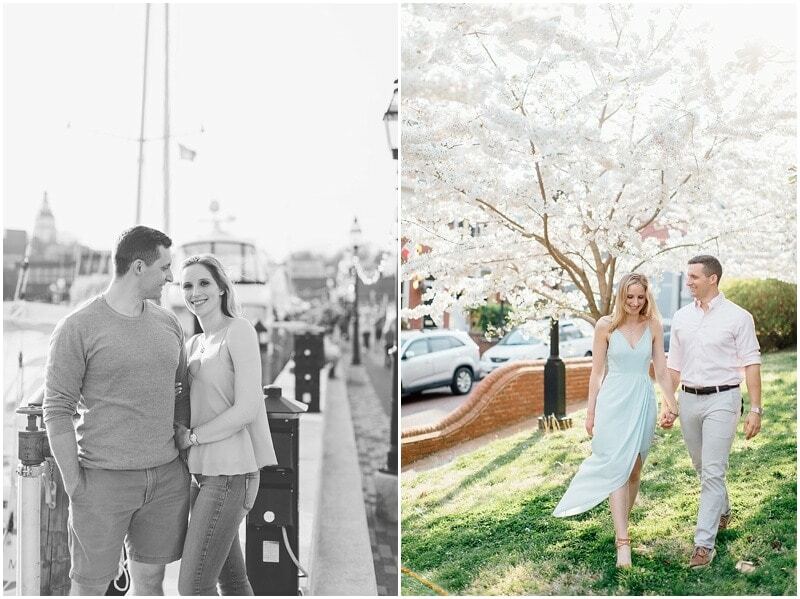 If you’re a bride (or groom) to be and wondering what location would work out best for your Annapolis engagement photos, please get in touch! 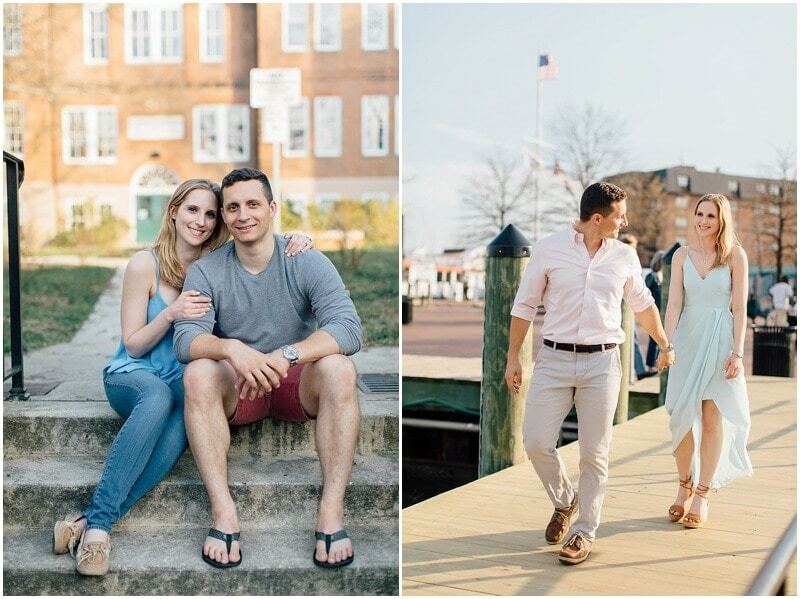 I’d love to learn more about your personality and wedding plans, and then help you come up with a few location ideas. Send me an email or give me a call and we’ll set up a time to chat about what you’ve envisioned for your engagement session. I can’t wait to hear from you!